FALK panels can be found in many places in the world. 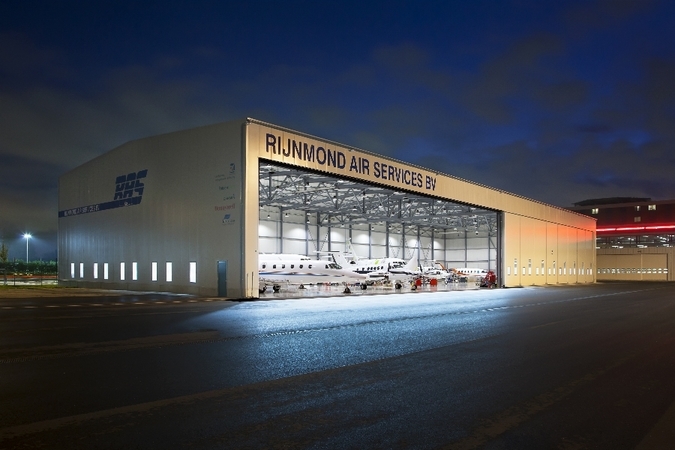 Also in case of this wonderful reference project at Rotterdam The Hague Airport. 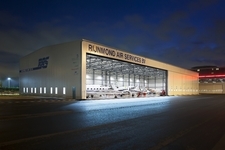 Rijnmond Air Service (RAS) has built a new hangar of more than 2400 m2 with an adjoining office. 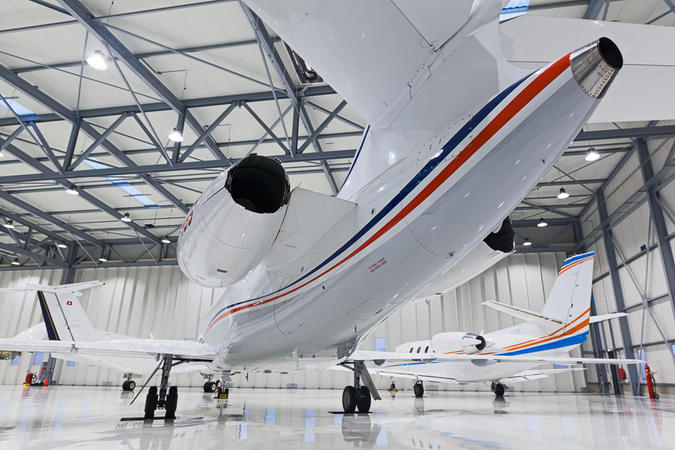 For RAS, the extra space means they can offer even more service and efficiency to their customers. 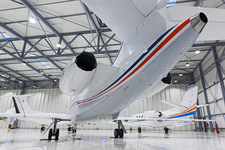 The large hangar doors with a hight of more than 9 meters, have been special designed for this project. The complete project was in the hands of De Staalbouwers. The facades are covered with the FALK 1060 WB in the color Goosewing Gray. On the roof is the FALK 1000 TR panel, also in the color Goosewing Gray. The beautifull pictures are taken by photographer Paul Kipping.